Remember Tetris, the old puzzle game which we were hooked on to in the early 90's. Well the creater of Tetris has come back with a bang and how! Alexey Pajitnov, the man behind the Tetris, which was a craze back then, has come out with brand new puzzle game called Marbly for iOS. The object of the game is simple yet complex. 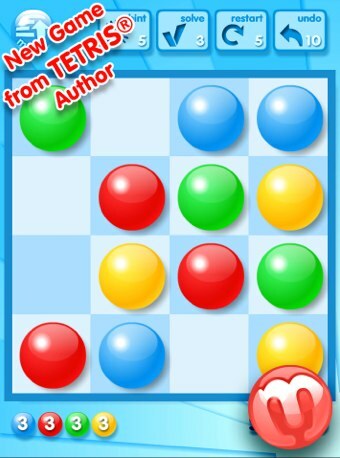 you have to move the marbles to build a line of three or more matching marbles at every go. Remove all marbles from the board and you are done. The free game on offer at Apple store gives three set of puzzles. This game may not turn out to be as big as Tetris, but it sure will make you scratch your head. If you own a iOS device, you can download the game from Apple Store here. The launch of Marbly for Android devices is not yet confirmed, but said to be in the making. Will keep you posted on the developments.